In what was likely the most entertaining college football game of the entire season, the Bulls and the Knights put on a performance worthy of being labeled an instant classic. 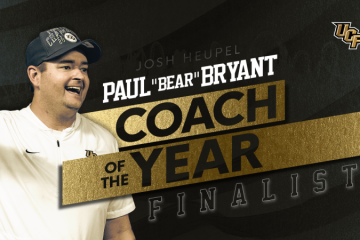 The War on I-4 lived up to the billing as the state of Florida’s best matchup all season long and UCF would become the overall benefactor. Trailing 34-28 heading into the fourth quarter, Knights’ quarterback McKenzie Milton came up huge, throwing two touchdowns and helping lead No. 15 UCF to a thrilling 49-42 victory over USF Friday evening at Spectrum Stadium. It would end up being Mike Hughes’ 95-yard kickoff return for a touchdown that proved to be the final difference. Hughes’ return came with 1:28 remaining in the game and put the Knights up for good. 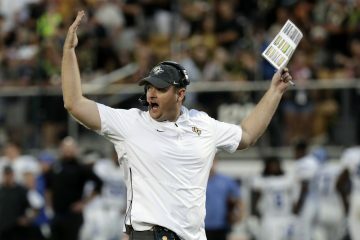 UCF (11-0) now advances to next weekend’s American Athletic Conference championship and will face Memphis (9-1). 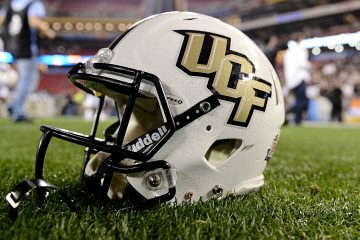 The game is scheduled for 12 p.m. at Spectrum Stadium and will be televised nationally on ABC. 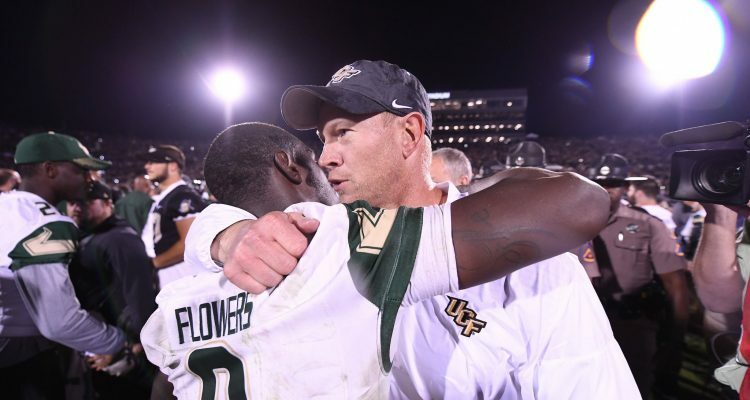 The Knights’ defense faces its toughest task of the season when it came to slowing down Bulls’ quarterback Quinton Flowers, who threw for a career-high 503 yards and totaled just a touch over 600 yards of offense for USF. The quarterback duel came to fruition, as Milton completed 29-of-44 passes for 373 yards and four touchdowns. It ended up being a wild final period of play that would give the USF-UCF latest edition of their rivalry the kudos on top game of the year in the college ranks. The Bulls (9-2) trailed 42-34 when Flowers found a wide open Darnell Salomon for an 83-yard touchdown with under two minutes remaining. Flowers would hit D’Ernest Johnson for the ensuing 2-point conversion try to knot the contest all up at 42-all before Hughes’ go-ahead score put UCF up for good.